large format prints and photo collages will look great on your wall! Make a statement with a beautiful enlargement of your favourite photo. We recently installed the latest Canon 24-inch photographic printer - the imagePROGRAF iPF2000 - designed for professionals in the graphic, fine art, and photography markets that seek the highest possible standards for image reproduction. An incredibly large colour spectrum is produced by the 12-Color LUCIA EX pigment ink set, which also provides archival quality, better scratch resistance and smoother gradations. If you can’t decide which photo to enlarge then create a beautiful collage! 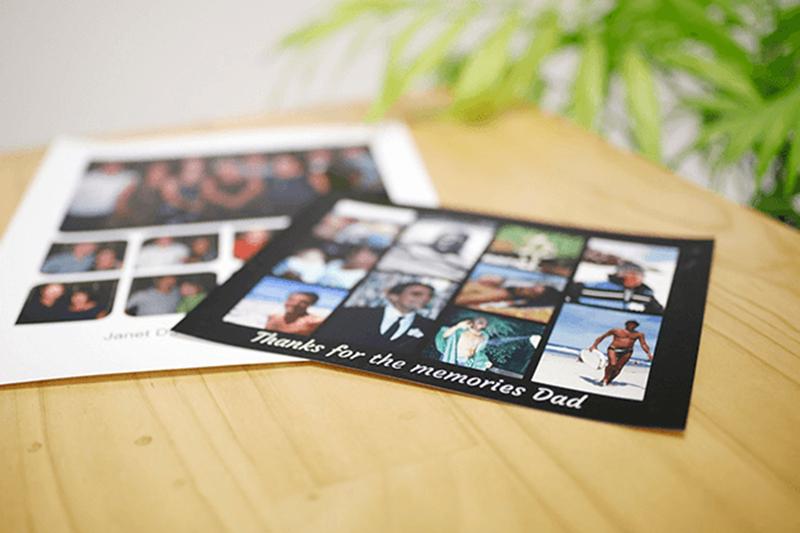 These are great for family reunions, birthdays, wedding anniversaries and other milestone celebrations. VIEW TIPS TO GET YOU STARTED HERE. From 6x6" up to 24x36"
Want to make your collage from a collection of old photos and don't know how? Just bring them in for us to scan into digital and we will put it all together and email you a proof - how easy is that?